One pastel chick and nest of eggs, what will your look like?Let your imagination play and see a inner land of pastel play the possibilities are endless. Draw lines as shown and rub with fingers gently. 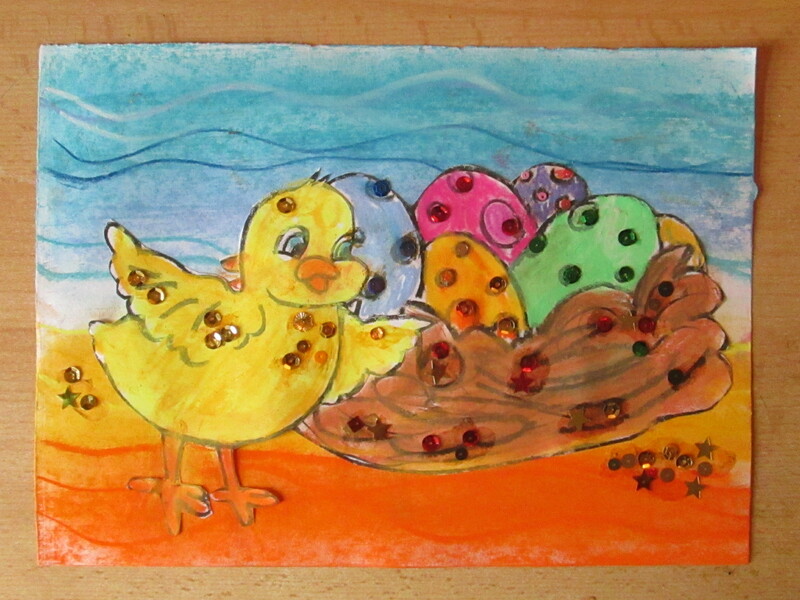 Cut out and stick on the of the nest of eggs and chick. Colour in the nest with a variety of pastels as shown. Rub in with fingers as shown. Colour in eggs as desired. Rub in with your fingers. 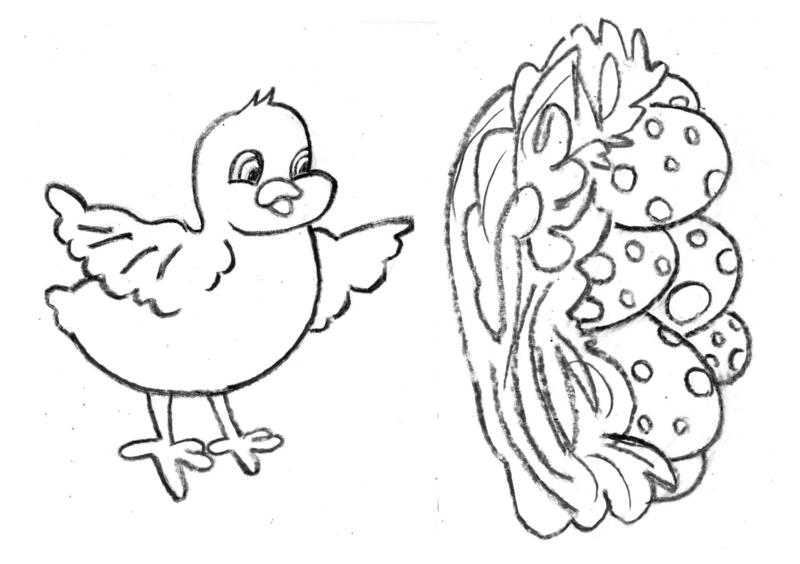 Colour in chick as shown. Add sequins a s desired.